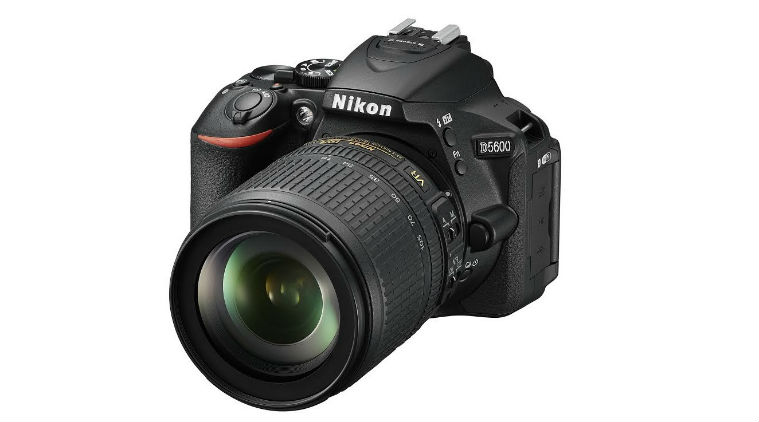 Nikon extends its range of SnapBridge-compatible cameras with the D5600, a mid-range DSLR designed for hobbyists who want to explore the creative world of photography. Like its predecessor, the D5600 with 18-140mm lens uses the same 3.2" vari-angle touchscreen, 24-megapixel DX-format sensor, EXPEED 4 processor and 39-point AF system. It also comes with a host of new features, including time-lapse movie mode, Bluetooth and NFC connectivity, and enhanced touchscreen functionality. When you’re the kind of photographer who sees what others miss, image quality is everything. Equipped with a large 24.2 megapixel DX-format image sensor, the D5600 is capable of sharply capturing fine textures and rendering images with superbly crisp detail. Your friends and followers will see exactly what you intended - shot after shot. An ISO range of 100-25600, and an expanded ISO sensitivity of 6400 in Night Landscape mode, ensures low-light scenes and difficult lighting situations are handled with ease. The EXPEED 4 image-processing engine boasts superior noise-reduction performance even at high ISOs. And with a wide range of interchangeable NIKKOR lenses at your disposal, images with stunning background blur and richly-toned contrasts are yours for the taking. The Nikon 18-55mm f3.5-5.6 G AF-P DX VR lens is a lightweight DX-format zoom you'll want to take with you every day. With its useful wide-angle to normal zoom range and compact build, this is an excellent walk-around lens. The lens focuses fast and is ideal for shooting video, so you can comfortably capture everything from candid portraits to family sporting events and action-packed HD movies. You can even retract the barrel when it's not in use for superior portability.